FORT WAYNE, Ind. 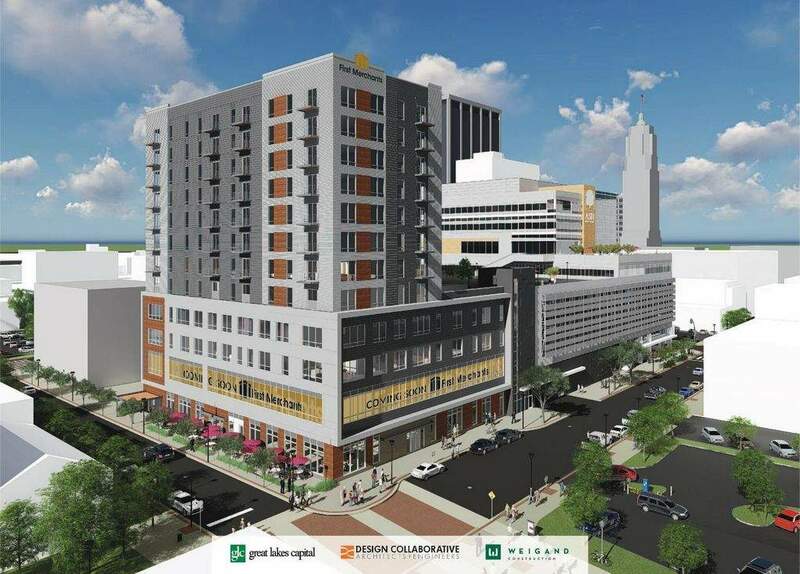 – First Merchants Corporation (NASDAQ - FRME) today revealed the home for its newest regional headquarters: Skyline Tower in downtown Fort Wayne. The company, which operates more than 120 banking centers in Indiana, Illinois, and Ohio, will occupy all 17,750 sq. ft. of the building's second floor office space. In addition to administrative functions, First Merchants will offer Commercial Banking, Private Wealth and Credit services at the location. Muncie-based First Merchants Bank has 16 locations in the Fort Wayne area and is planning substantial investment to grow that presence. federally registered trademarks of First Merchants Corporation. Great Lakes Capital is a real estate private equity firm uniquely positioned to add value to real estate investments through development, redevelopment and opportunistically investing across the real estate spectrum and throughout the capital structure. We concentrate on several core asset classes, including office, industrial, retail, medical office, multifamily and other similar conforming product types as well as mixed use projects. As a market leader in new development we actively address the needs of our tenant partners in addition to speculative development meeting needs the market has not yet reacted to. For more information, please visit: www.greatlakescapital.com.